Melissa has been the director of Portledge Summer Adventures for the last 22 years, starting out only directing the Early Childhood program. After teaching 2nd grade at Portledge for 3 years and subsequently Pre Nursery, she expanded the program to include the variety of classes it offers today. Melissa has a Bachelor of Arts in Education, a Master of Education and a Masters in Social Work. She looks forward to seeing the children and families each day and helping families to find programs that make their child feel enriched and smile. Sergey has been fencing since the age of 10 and has won numerous championships in his native Russia in addition to playing for the national team. In 2007 he migrated to the US and began coaching. He then became the Designated US National team coach for U17 and U20. He was selected as 2018 Development Coach of the Year by the US Olympic Committee. Alexandra Gerin teaches 6th grade and 9th-grade biology here at Portledge! She graduated from Binghamton University with a Bachelors of Science in biology and a Masters in the Arts of teaching secondary education. She is thrilled to be working with your children this summer to inspire their passions in biology, conservation, and outdoor education! As a child, Jamie grew up taking gymnastics classes and the passion for the sport continued as an adult. Jamie started teaching at a local gymnastics center 10 years ago for ages 2-12 years old. She eventually started a traveling gymnastics program in Philadelphia offering gymnastics to day care centers and elementary schools throughout the area. After several years of running and growing the program, she sold it when she became pregnant with my son and moved back to New York. After moving back to New York Jamie continued to teach part-time. Jamie states, "I truly enjoy teaching the young gymnasts and sharing my passion with them". Julie Heiss have been a large part of our Summer Adventures program for the past 6 years and you can tell by her warm smile she's loved every minute of it! Julie enjoys creating new and educational art programs for our campers each summer. This year she's back with a few of our favorites like the potter's wheel and drawing & painting while also introducing some new and unique programs like Dollhouse Camp, Sculpture, and Pop Art Sewing for boys & girls. Julie believes that a strong art foundation is very important in a child’s development and that it develops fine motor skills, decision making, cultural awareness, and self esteem. Julie has earned her Bachelor’s degree in Design from FIT and her Masters of Education from LIU Post both which have served her well in her art adventures at Portledge. Mr. LaFlair has worked at Portledge for the past 19 years teaching Chemistry, Algebra 1 & 2, and Astrophysics. He is a United States Senior Chess Master (Top 100 in the US) and a World FIDE Chess Master. He has been coaching chess for 30 years and it is his passion. He holds a Bachelor of Science from the University of Binghamton. Alli McEvoy - Early Childhood teacher. Alli McEvoy is joining us for her second summer at Portledge. 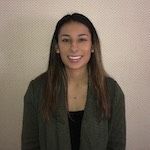 She graduated from LIU Post with honors in 2017 and a degree in Early Childhood Education with a focus in psychology. She has been working in the field of education for 6 years. During the regular school year, she holds the position of kindergarten progress monitor at Bayville Primary School, as well as being the site director for the Locust Valley Central School District SCOPE before and after-school program. Prior to her current position, she was the lead teacher in a preschool classroom. Marvin Rosario is a 4th-grade elementary school teacher, who played college baseball at the University of Old Westbury. After graduating with his degree in childhood education, Marvin began working at the Storm Sports Academy based out of Garden City. He has been fortunate enough to instruct and coach players between the ages of 5 and 21 for the last seven years now. He has run several summer baseball camps including Portledge’s for the last three years. Kimberly is a Naturalist at Nassau BOCES Outdoor and Environmental Education Center. She instructs Environmental and Adventure Education programs primarily to students from pre-k through high school. She was born and raised on Long Island and as a child, developed a love for nature and travel. Kimberly was fortunate to have a family that took trips each year to new and exciting places, which led her desire to explore new environments more frequently on her own. While attending school at SUNY New Paltz, Kimberly took a semester to study in Australia, a summer in Spain and a winter in Costa Rica. During her Costa Rica field course which was taught in the rainforest, Kimberly discovered her real passion; Outdoor/Environmental Education. After graduating from SUNY Oneonta with a Bachelors in Environmental Science, she worked as an Environmental Scientist for a number of years but then decided to pursue Outdoor/Environmental Education. At this point, she headed out to California to work as a Naturalist, teaching students the skills to be at ease in the outdoors, and have a better understanding of the Western ecosystems: mountains, deserts, and seashores. She led one night to week-long camping trips, lodge based programs and one-day field trips in many of California’s state/national parks and beaches. Her most memorable and exciting experience was a week-long program leading 6th-grade students down the Colorado River in canoes and camping at outpost sites along the way. Kimberly now enjoys teaching Outdoor/Environmental Education at Nassau Boces in Long Island and sharing her knowledge and love for outdoors with her 4-year-old son. Brendan was a three-year varsity athlete at St. Dominic High School in Oyster Bay. He later went on to play college baseball at St. Joseph's College where he was named the runner up for conference player of the year, first team all-conference and an all-region selection in 2016. He appeared in 3 NCAA regionals, by capturing the Skyline conference title. After college, he took a position working in the St. Joseph's College Athletic Department, handling day to day tasks and working closely with student-athletes. Brendan works for the Long Island Titans organization as a coach for ages 11u and 12u teams during the summers. He also worked various camps for Kings Park youth, St. Dominic High School, and Smithtown little league. He currently works as a Middle School History teacher at Portledge, and this is his second year working for Portledge Summer Adventures. Alexandra has been teaching elementary school and special education for the past 13 years. Alex also worked at Portledge Summer Adventures for 10 years with a few years off in between. She has a Master’s degree in Literacy and Special Education. One thing she values above all else in her early childhood classroom is play! She believes children learn best in an environment where they can be confident and playful; that’s why she’s really looking forward to another summer of play, sun, and fun! Jennifer is a graduate of Tulane with a BA in sociology and a Masters degree in early childhood education from New York University. She has two sons and a dog and a cat. Bruno Cotumaccio, our co-basketball director/ personal trainer, has enjoyed a very impressive basketball career spanning over 30 years at the highest levels of competition. Coach Jim Gatto has achieved over 500 wins in nearly 40 years of high school coaching. Coach Isaiah Wilson Regis became a college basketball team captain as a sophomore and exemplifies strong leadership qualities by serving as a Resident Assistant (RA) and by remaining humble as a volunteer with the Big Brother Big Sister program. John has over fifteen years of lacrosse coaching experience at the youth, high school, and college level. He played four years of Division 1 lacrosse at Lafayette College and then continued on as an assistant lacrosse coach at St. Lawrence University for two seasons. 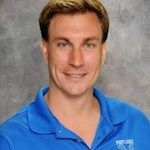 He is currently the head varsity lacrosse coach at Great Neck North High School and an elementary school guidance counselor. All of our soccer coaches are members of the Gold Coast F.C. Gold Coast F.C was conceptualized in 2012 to solve a number of common problems in Youth Soccer in the Tri-State area. As the soccer landscape changed rapidly, too many young children were leaving their friends and Community Soccer Clubs enticed by Academy Program promises further afield. In many instances, these Programs were miles away, to the obvious detriment of local families and Community Clubs. The GCFC Directors remain steadfast in their conviction that children develop and learn at different rates. It was extremely important to them that ALL children of all ages and skill levels would be superbly catered for in a completely unified group. The different arms of which, all forming under the Gold Coast FC umbrella. This is why Gold Coast FC utilizes extremely talented Soccer Coaches in all communities, at all Programs. Eric Johnson is a graduate of the Polytechnic Institute of New York for Physics and Electrical Engineering and received a Masters in Physics from Adelphi. Mr. Johnson taught physics, calculus, electronics, and computer courses at Portledge for 38 years where he was also head of the Computer department as well as a varsity fencing coach. Luke has been coming to Portledge Summer Adventures ever since he was a camper himself. From that experience, he grew to believe kids learn the most when having fun while creating awesome friendships through having that fun. STEAM is the foundation of being successful in the future and Luke believes the path to being proficient in that field is not just through classes but through the games students are playing today. In all of Luke's classes, he works to create a willingness for his students to construct and to learn on their own by creating fun opportunities to do so. Kathleen has been teaching Ballet and Musical Theater in the tri-state area for over 15 years. She began her Ballet training under the tutelage of Kaleria Fedicheva a graduate of both the Vaganova Ballet Academy and the Leningrad Choreographic Institute. She taught at the accredited Russian Ballet school where she received her certification in teaching the Vaganova Method of Ballet. Kathleen started the Musical Theater summer drama camp here at Portledge 18 years ago. She has attended teaching seminars and workshops at the New York Film Academy and the New York Acting Conservatory. Under her direction, the troupe has performed numerous production including The Lion King, Beauty and the Beast, The Little Mermaid, The Sound of Music and this year Mary Poppins. Merritt currently teaches Spanish at Cold Spring Harbor Jr/Sr High School where she is also the advisor to the International Club, the Animal Rescue Club, and is an advisor and mentor to the class of 2019. Merritt attended Portledge School and so loves returning each summer to work at Portledge Summer Adventures. It is her ninth summer working with the Early Childhood program. Merritt has a BA in History from Trinity College and an MA in Spanish, Education and Instructional Technology. Kristy is an AIS (Academic Intervention Services) teacher in the Oyster Bay School district. She has a Bachelors in education and in special ed as well as a Master’s degree in Literacy. Kristy has worked at Portledge Summer Adventures for the last four years. Elaina holds an M.S. In Mental Health Counseling and is the Middle School Learning Specialist and Counselor here at Portledge and have been both a K-8 and high school counselor and Learning Specialist for past nine years in Denver, CO. She specializes in Academic Coaching and teaching Executive Functioning skills helping children understand who they are as a student and learn what skills work best for them. Donna Salladino is a third-grade grade teacher in a reputable public school district on Long Island. She received her Masters Degree from Hofstra University in STEM (Science, Technology, Engineering, and Math). Science is one of the many reasons she loves to teach. Donna believes that "through investigating the world around us, developing their curious mind, and learning through hands-on experiences, children can begin their journey of understanding the world around them. I enjoy creating engaging content and experiments, where the students take the front seat and learn through inquiry, and most of all, have fun while learning". Donna looks forward to a fun, exciting, and memorable summer with your child! Science rocks!